After a month of drinking our way through western France, we shift our EU Austerity Drinking Adventure south. 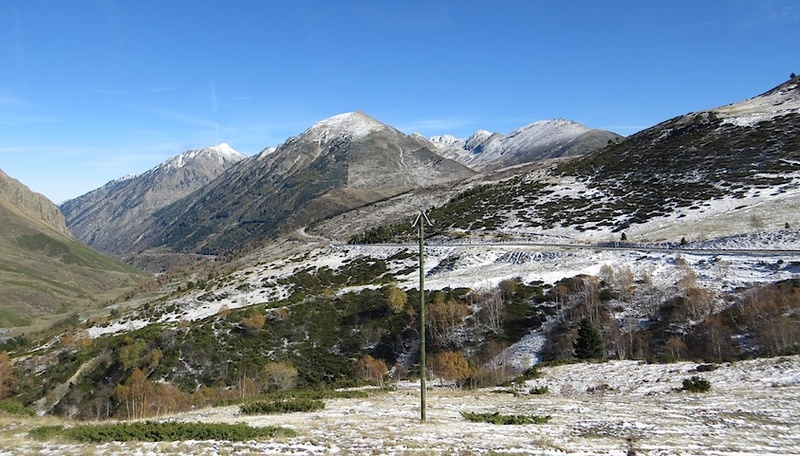 But before bathing in Spain’s wine culture, we tack on three days in Andorra. We have no idea what Andorra will be. 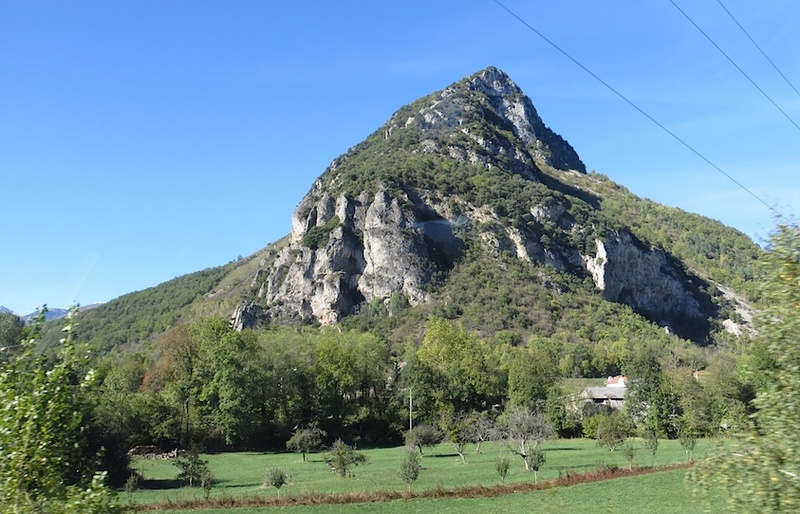 Our guidebook only describes it as Europe’s sixth smallest nation, with the highest capital that nestles in the Pyranees Mountains splitting Spain from France. We may never get another chance to visit it. So a bus takes us from red-bricked, religious, bustling Toulouse. 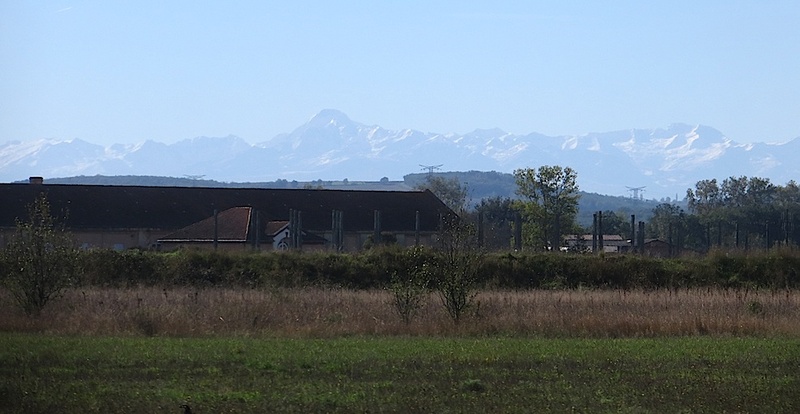 After an hour of flat, arid land, the Pyrenees emerge like a spinal cord. As the bus climbs, streams emerge rendering the land greener. I stop editing wine notes, for we are entering a world of giants. Paperwork processed (like 10.2 million other annual tourists), we descend into the capital, Andorra la Vella, enclosed by peaks. Our hike to the hotel finds the city asleep for siesta. So we visit the tourist office. They exude kindness. But without vineyards to visit, we sign up for a bus tour, that happens to be two-for-one, and tack on a second bus ride for half off (this is an Austerity Tour after all). We check out a few cliff-clinging churches…. Appearance: looks a light lemon with rapid med-plus sized fizz (intensely bottle fermented). Aromas: smell young and powerfully of vanilla meringue (oak? ), yeasty autolytics, and lemon. Palate: This feels off dry. Such slight sugar balances cracking acids, a lower alcohol (11.5%), and altogether lighter body. The texture feels soft like baking flour. Flavors: Chalk, yeast, lime, and lemon pith make for a refreshing fizz of moderate length. Conclusions. 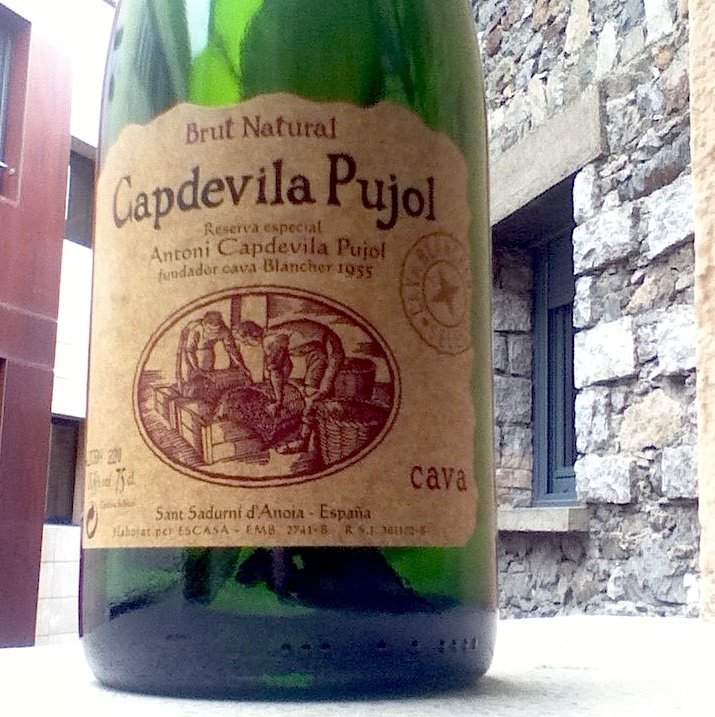 This is simply good (3 of 5) Cava for little money (7.50 EU). The fact it is 100% perelada grape makes it a bit cool (most Cava blend). Its fluffy texture and fizz tidy our palates like a fresh dusting of makeup powder. We wind down the evening with our first hotel TV and real beds. 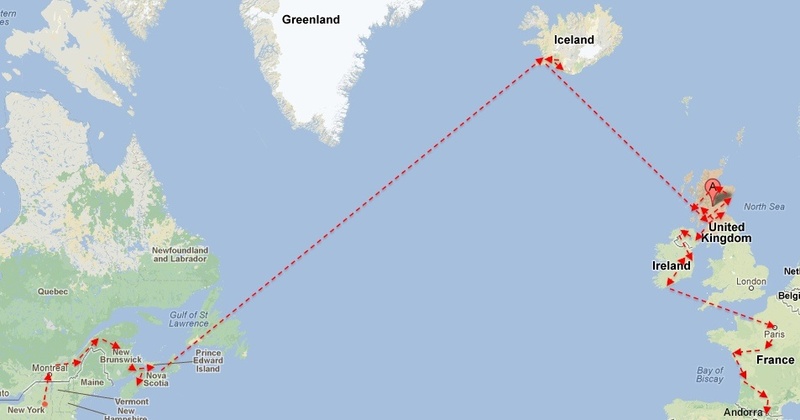 After 101 days of non-stop travel, CNN’s familiarity comforts us. 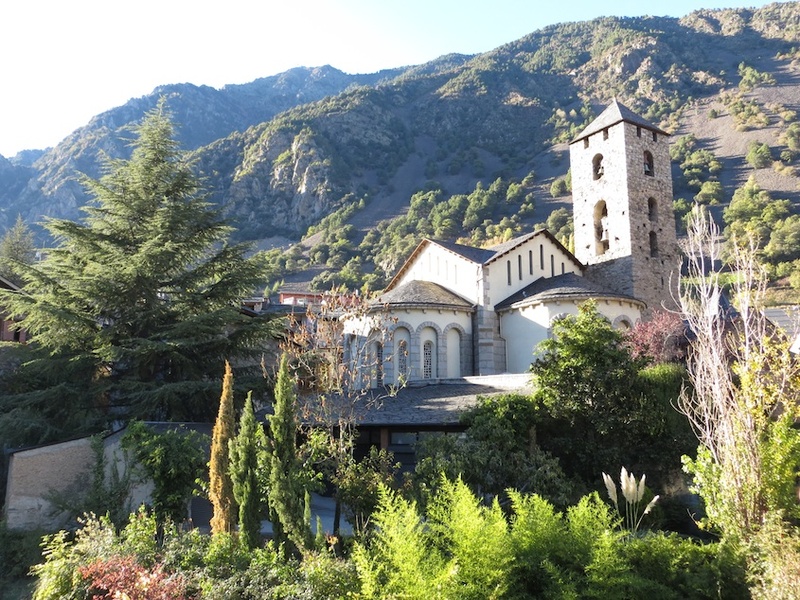 Check back next Monday for our EU Austerity (Sobriety) Tour of Andorra’s churches, spas, and mountain tops. Worry not, there will be wine. 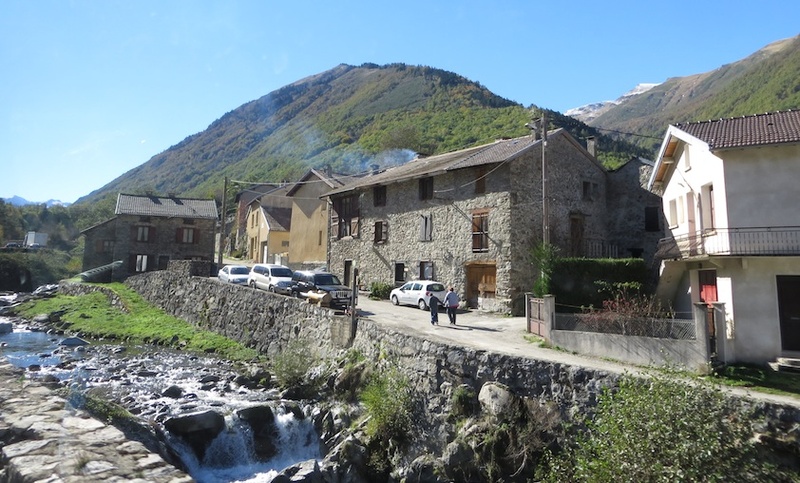 This entry was posted in Uncategorized and tagged Andorra, Capdevil Pujol, cava, France, Perelada, Pyrenees, Spain. Bookmark the permalink. Thinking a home cooked meal with locals choice of wine might be amazing? Definitely. Most foods are imported or grown in hothouses, although small animals: chickens, goats, make up many dishes.